NEW FOR CHRISTMAS 2018! EXCLUSIVE Mount christmas ornament! 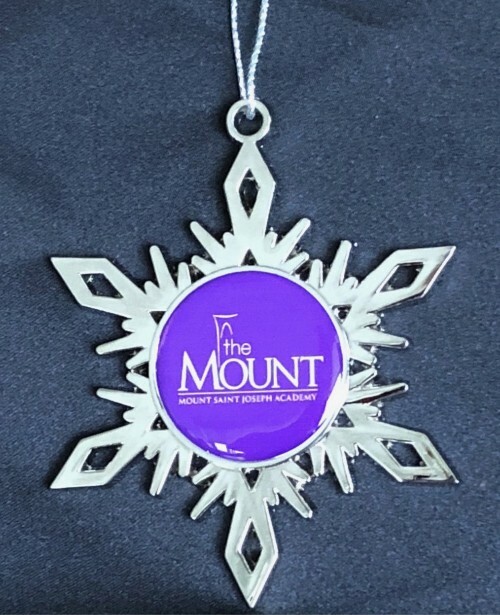 Bring some Mount magic to your Christmas tree with these LIMITED EDITION nickel snowflake Christmas ornaments! Ornaments feature the Mount logo on a purple background under a polydome. Ornaments measure approximately 3 inches tall and include a silver metallic hanging cord. Ornaments can be purchased at the Magic Shoppe or you can place your order online here. Orders must be placed by December 1, 2018 to guarantee Christmas delivery.